As our most talented musicians play the world’s most exquisite instruments so do the countries most skilled baristas perform on the foremost machines; Sanremo. At Coffee Solutions we are privileged to be able to bring you the innovative design and impeccable craftsmanship of Sanremo coffee machines; 50 years of creating stunning, dynamic and inspired machines has elevated Sanremo from its humble artisan roots just outside of Venice to the paramount supplier it is today, while remaining true to its masterful handmade quality. The best gauge of quality is the expert’s opinion. Sanremo are the official sponsors of the UK Barista Championship, placing it firmly at the cutting edge of coffee. The Connoisseurs who make up the competitors trust the reliability of the machines under the toughest pressure; the Temperature Stability Control (TSC) on the Verona and Roma modals particularly allow for optimum brewing results every time. To this day each machine is still produced in Italy; the highest quality components are placed meticulously by hand to ensure flawless assembly and, to guarantee excellence, each machine is put through a rigorous quality control process. The quality speaks for itself as Sanremo on average receive less than half a service call per machine per year. They not only impress with unbeatable coffee, their stunning design also makes them an exemplary addition to any environment to the extent that many coffee houses build their entire ambiance around the machine. 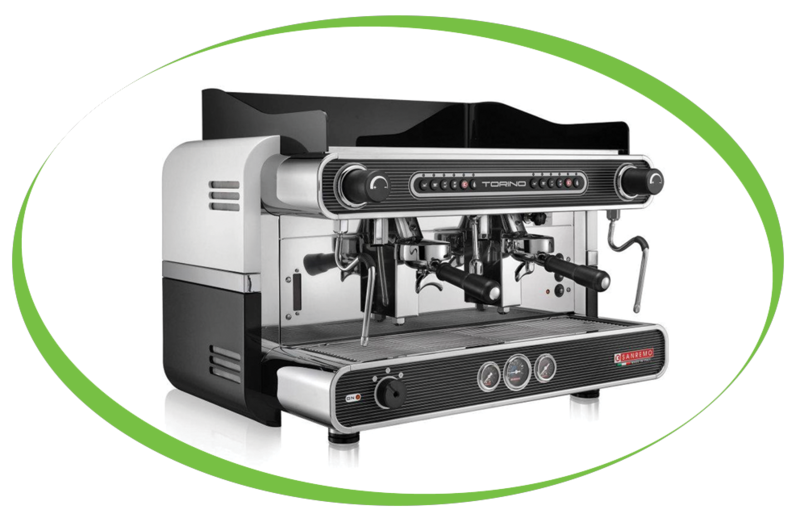 The variety of Sanremo machines guarantees you will find your perfect match, from commercial coffee chains to intimate offices. At Coffee Solutions we are dedicated to bringing you the best. We provide a diverse range of coffee and drinks machines to suit any and all of your needs; we have a passion for coffee and want to bring that to you. For more information on our product range phone us now on 01223 833 661 or get in touch online and we’ll make exemplary coffee a part of your life. The best gauge of quality is the expert’s opinion. Sanremo are the official sponsors of the UK Barista Championship, placing it firmly at the cutting edge of coffee. The Connoisseurs who make up the competitors trust the reliability of the machines under the toughest pressure; the Temperature Stability Control (TSC) on the Verona and Roma modals particularly allow for optimum brewing results every time.